This card makes me think of the manger scene, a simple wooden crib with a beautiful star overhead, the baby Jesus bringing peace and joy...It also reminds me of the Christmas tree, bright star on the top and peace and joy on every one's minds. 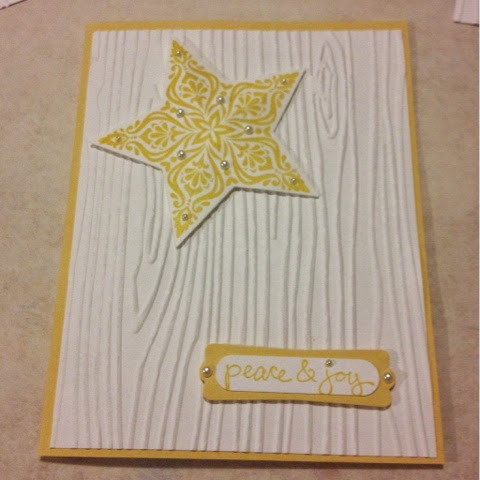 The star is from Bright and Beautiful, out of the new Holiday Catalog. 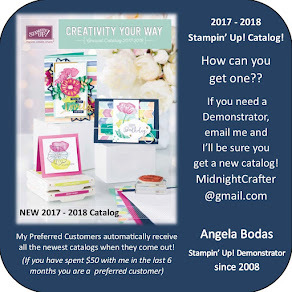 I stamped it in Daffodil Delight, and then cut it out with the coordinating Star Framelits. 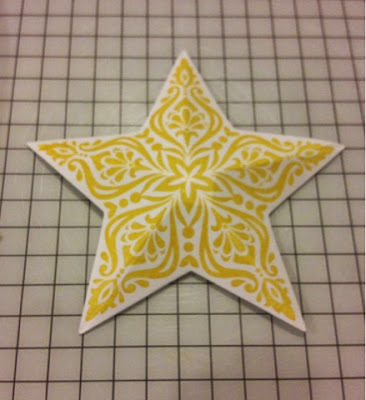 I used the scoring blade on my Stampin' Trimmer to score from the tip of each star point to the center, and then lightly folded on the score lines to get the 3D raised look. Attached to the card with Dimensionals it adds a little pop. 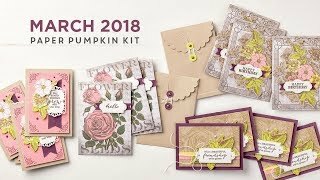 The cardstock and ink are Daffodil Delight, with Whisper White for the embossed layer.